"Today, the UK Parliament voted in favour of the bombing of Syria and some alleged criminals, one named Syed Farook, killed at least 14 innocent people and wounded 17 others (some reported to be Muslim) at a centre for people with disabilities in California. When I saw the name 'Syed Farook' I was even more devastated. Can't us Muslims catch a break?! Even if these criminals weren't devout Muslims just their names alone will do enough damage. In light of these atrocities, I thought I'd share a story that reflects a glimmer of hope. A new pizza place called La Pizzetta recently opened on Willis Street and I decided to check it out yesterday. The lady behind the counter took my order and said to me in a thick Italian accent, "Ah it's very nice! The way you wear your scarf, it's very nice." I grinned and thanked her. "Where are you from? ", she asked. I told her I was from Malaysia. The man who was helping her with my order, whom I later found out was her husband, went speechless and looked pleasantly surprised. In fact, both of them did. "Have you been there? ", I asked curiously. "Yes! We LOVE Malaysia! We spent one month in Malaysia. We visited KL, Taiping, Penang, Pulau Redang." 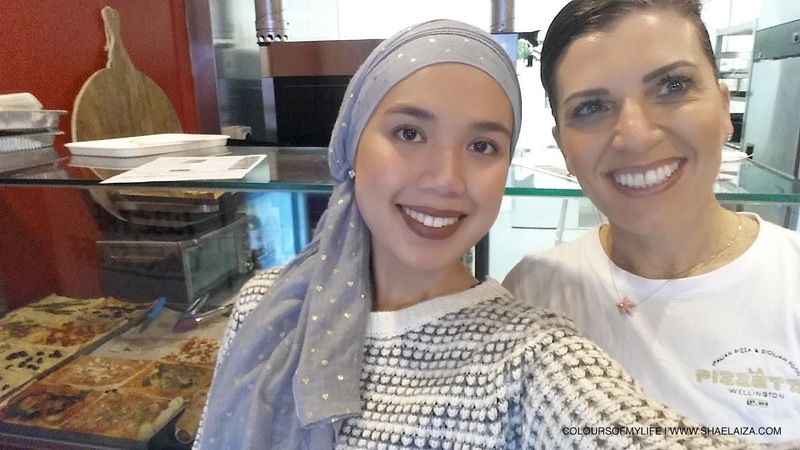 We ended up chatting about Malaysia for a good 15 minutes but this is what I want to highlight because I could feel the Italian man's sincerity when he said it: "With so much news on Muslims and war it was very, very important to us that we met Muslims in Malaysia. We are Catholic but we saw that like the Christians, there are good and bad Muslims. And I think the Muslims in Malaysia are better than the people in my country. Malaysia was not just a vacation but an important experience for us." No matter the situation we have to return to creating peace and beauty in our communities. Educate yourself. Share your knowledge. Practice the good that you preach! Live your values and set a great example. Spread salam (peace). There is a war out there but our greatest point of influence is WHERE we are and WHO we are. You never know how your actions can impact someone's life in a positive way. Kia kaha (stay strong)!" 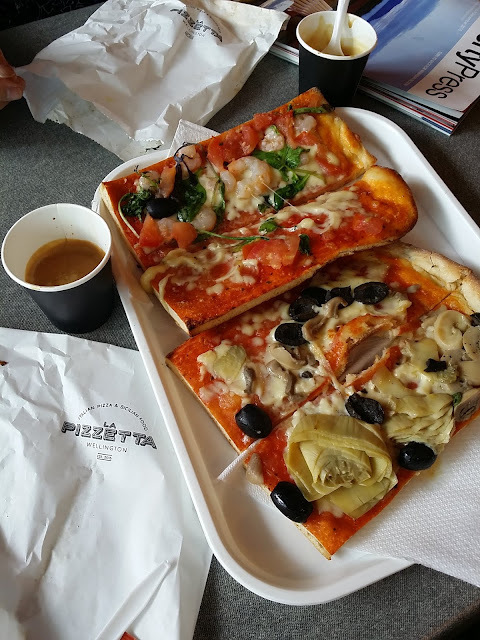 In case you're wondering, I ordered the 4 Stagioni (4 Seasons) pizza but without the frankfurters so it was just olives, artichokes (one of my favourites!) and mushrooms. The pizza place owner, Michaela, joked and said it was just the 3 Seasons then :) Honestly, you can't go wrong with pizza.